Imagine: A valet service for your wardrobe. Byblos Dry Cleaning, straight to your door. Byblos offers a quality dry cleaning service in London with fast delivery and professional results. Enquire now for a quote or to find your nearest branch. With 60 years of experience, we are the dry cleaners that many boutiques, businesses and households in London come to for a professional and speedy service. 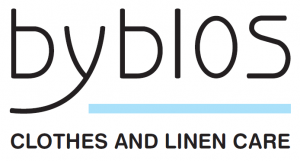 Byblos handles a wide variety of fabrics from silk and cotton to polyester and rayon, as well as materials that need special care such as suede and leather. We use the best available environmentally friendly solvents, cleaning detergents and spotters, and all garments are cleaned, finished and presented to the highest standards. Sign Up to our mailing list to receive our latest offers and promotions. One less worry for the day. Door to door collection and delivery.